So you start running. You’ve never been consistently active; maybe you do a class every now and again, or you go on the odd walk or bike ride with the family, but you’ve not really ‘done sport’. Suddenly though, your friends have started running. It’s great fun, you love spending time outside, you feel good after you’ve worked hard and it’s having a really positive impact on your life. Fantastic! You all decide it would be cool to do a 10k so you sign up. You run it together and love the experience of being surrounded by like-minded people, the thrill of the race. Maybe you should do a half marathon? Loads of people do it: why not you? So, after only a couple of months of running, you’ve completed a half marathon! You might not have been fast and it might have been really hard, but you’ve achieved something amazing. You feel invincible. You’re the proverbial kid in the sweet shop, entering a race every week. You’re flying. You have fallen in love with the running community. Everyone is so supportive! If you feel doubtful about whether you should do something or not, just post a question on a forum and everyone will tell you that you can do it. They can do it, why shouldn’t you? You start to look at ultras. It seems mad. It is even possible to run all that way? Of course it is, the internet cries! Do it! DO IT!! I did it and I’m fine! I do one every fortnight and I feel great! You up your mileage, you buy the gear, you start doing some planks and press ups and you join the relevant Facebook groups. You couldn’t be more ready. The day arrives and you are nervous. Everyone around you tells you you’ll be fine. You made it to the start and that’s the important thing. You won’t know unless you try. You’ve only been running for 6 months? Great! What an achievement to be taking on an ultra! 5, 4, 3, 2, 1 – GO! You finish. You are chasing the cut offs all day, but you finish. Your knees are screaming, but you finish. The soles of your feet are falling off, but you finish. Your pee is dark red, but you finish. You did it. So when can you run again? Every time you try to run, something hurts. Your knee is killing and you don’t know why. You keep falling asleep in the middle of the day. You go for a run to make yourself feel better but you’re so slow and heavy. You enter a marathon when your knee eases off, but you don’t enjoy it. Every time you try another race, it’s the same: something hurts, you don’t have fun, you don’t improve anymore and all you can think about is getting it over with. You just can’t be bothered anymore. How did this happen?! I read something that Jason Koop said a while ago that makes so much sense and I’ve been wanting to write about it. Now seemed the right time. There are so many more people wanting to take on ultras but ending up with some of these things happening to them. They don’t know why or how to make it better. Koop talked about the reasons that people don’t finish races. There were various issues: stomach problems, fatigue, injury, blisters, cramping, went too fast. Only 0.7% said they were ‘inadequately trained’. What Koop says is that all of these issues are due to being inadequately trained. So why don’t we admit that to ourselves? We’ve heard the cautionary tales of overtraining syndrome and seen it happen to people like Anton Krupicka and Anna Frost. These are athletes that put huge miles in, masses of ascent and race a lot because their livelihood depends upon it. Can it happen to ‘normal’ people though? It’s happened to me. I gleefully entered all the races, ramped up my miles and had a great time doing it. I did my first marathon after about a year and couldn’t run for about 6 months with an ITB injury. I didn’t know what it was or how to treat it, so it happened again when I started running more. This time, I got professional help and it hasn’t happened since. I’ve DNF’d through injury, through no mojo because I entered a race for the wrong reason and again, because I didn’t respect the distance. Stuff happens as they say, but I believe we can help ourselves by getting smarter. This is where I think the real runners’ challenge lies. Instead of challenging yourself to take on whichever race someone tells you to, why not try these challenges instead? Challenge yourself to be patient. You will be better able to take longer, harder races on if you have the patience to put in the groundwork and take your time in building up your training. Yes, you might ‘get round’ but don’t you want to do it feeling strong, feeling positive and enjoying it? Challenge yourself to listen to your body. Become aware of the signals you are getting from your stomach, your lungs, your muscles and your heart. Think about how you treat your body daily. Move well. Move more. Look after it. Challenge yourself to say no. Just because someone else is doing a race, it doesn’t mean you have to. You don’t know their reasons, their journey, their motivation. If you don’t have a real desire to do it, don’t. Challenge yourself to train properly. Ultra running is not a sport that is easy to train for or to analyse. There are so many variables that we can’t always just follow a ‘Runner’s World’ training programme and hope that it works. Find someone that you know understands what you want to do, that has experience and whose opinion you respect, and ask for help. Read. Study. Learn. Don’t just do what someone else does because it works for them. Challenge yourself to eat healthily. So ultra aid stations are usually full of sweets and coke right? I should probably just have sweets and coke all the time then… We all know that this is a bad idea. Treat your body with respect. If you fuel it well, it will perform how you want it to. It is an incredible machine so find the time to give it healthy, real food every day and it will do incredible things for you. Challenge yourself to rest. This could be the hardest thing to do. We all have busy lives, we all have people demanding things from us and we all want to be the best we can be. But, if you don’t make the time to do nothing once in a while, you will burn yourself out. Running long distances puts a very real strain on your body, no matter how fit you are. Fatigue can be debilitating so don’t feel guilty about having a proper day off, reading a book, watching tv or just sitting and being quiet. Challenge yourself to be selfish. It is okay to put yourself first. Give yourself some respect. Value yourself. Ultimately, if you are not healthy, happy and doing something just for you, the people you try to be everything for will suffer too. So take the time to make them realise how important this is to you. When you have to train, maybe they have to compromise too. Thank you Sarah. It’s very honest of you to say that, especially after everything you do! It’s too easy to see other people accomplishing these things and not give them the full respect they deserve. Ultras leave you completely exposed and that takes a lot out of you. Glad to hear you’re looking at some new challenges next year. One of the things I’ve stood by since taking up endurance sport is structured rest. Every fourth week is a rest week, where I’ll do little or no training. If I train, it’s short and low intensity, a leg stretch at hardest. I also have rest years every fourth year where I do little or no racing (I’m 9 months into one now). This means I get to run without a plan for most of the year, enjoy just exploring new places without the pressure of building up miles/gain/pace towards an event. It doesn’t mean no long stuff, I went out and run Wainstones marathon route with a friend in April as a recce for him, nice and slow, walking pace for a good chunk. Another time I paced someone for a section of the 110. It left me feeling refreshed come July when I started my training for next year’s 110 (and the full Super Slam). I don’t feel as mentally fatigued, I don’t feel like sticking to the plan is hard work or just something I want to get ticked off, like I started to feel in the run up to the 60 last year. It has been hard seeing people race, in particular the 55 and 60 which both love, but there’s ways around that. 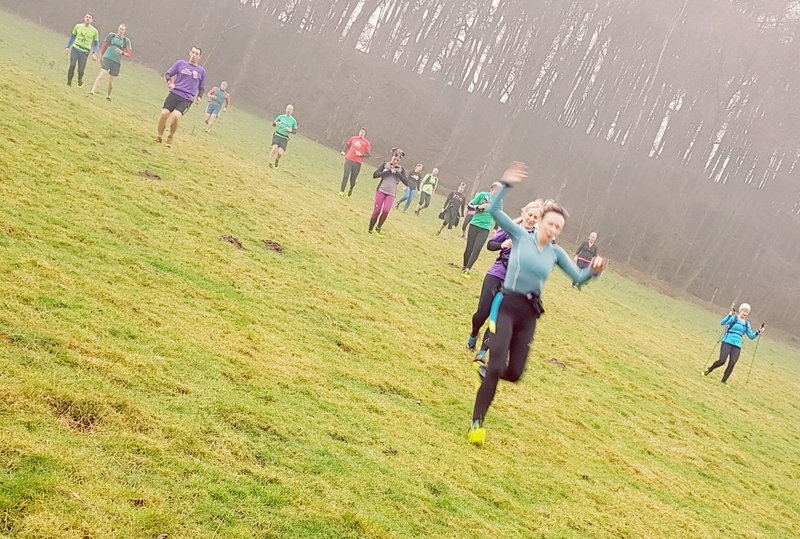 You can marshal, you can crew, you can turn up and cheer people on or even simply ignore and do your own thing if being there and not racing is hard. Body and mind need rest and react better after a rest. Spot on James, a very healthy approach. It’s definitely about finding what works for you. Mental fatigue is a difficult one as we live in a world where we feel the need to be ‘on’ all the time. Resting is key! Thank you for this Kim. I see something of myself in there. One of the big problems for me was nutrition….I was doing/ do a stressful job and doing a lot of snacking, feeling tired at the end of long days and not going out running, but I had entered the HM110 and was really keen to finish as amongst other things, wanted the points for another crack at UTMB. I wasn’t ready for 2015 UTMB. I gave it a good go, got 80 miles round in 30 plus degrees heat but DNF’d. My mindset was, wow I can achieve that when I’m not hugely prepared, what else am I capable of ?…. Thanks Andy, that’s great to hear. UTMB is a monster and something that I think takes years to build up to if you don’t want to risk dragging yourself round in utter misery. I certainly won’t be attempting it until I feel absolutely ready! Excellent blog, Kim. Although I was tempted to do ultras, it was because I knew so many people who do them. However, I am happy with my decision to stick with my gut feeling and try to improve my speed on distances up to marathon. Our initial consultation this week on my aims, targets and training programme has really renewed my enthusiasm and focus. You’re right, I had too many vague targets. I can see that in others too now. People who have been running for a few months and doing very well, but then falling into the trap of feeling invincible, entering too many races and then wondering why they are suddenly struggling. That’s brilliant Sue! Thanks for the lovely comments. I hope you get those PBs! Andy Holladay on Being intentional. Aliza Jarocki on Don’t stop believin’! Paula Dalziel on The question of why..
Just one day. Just one lap. Just one step. Just keep moving.